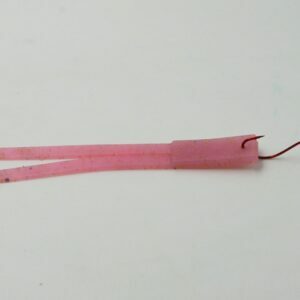 Squid strips come in 2 sizes: 3.75″ and 5.7″. 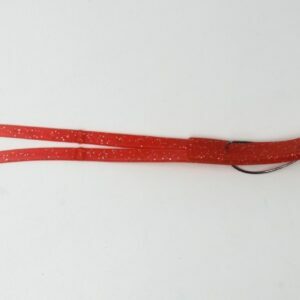 Just like real cut squid, but without the mess. So loaded with squid extract, we can’t put much more. 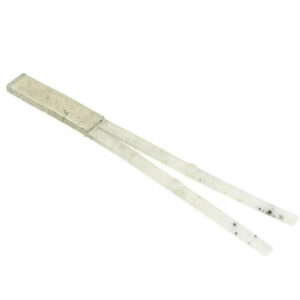 Each pack has 8 double-tailed pieces which can be ripped into single strands or cut to shorter lengths. 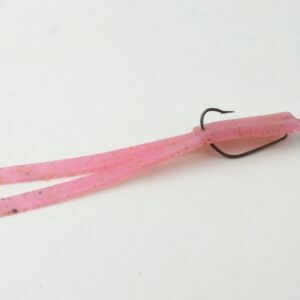 For saltwater, Nikko’s Squid strips are great for any fishing where cut bait is used. 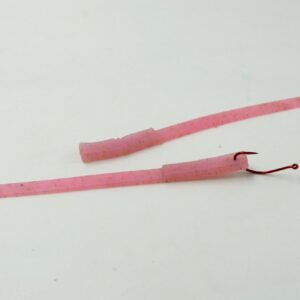 In freshwater, these baits have proven great for bass fishing where they resemble a double tailed flat worm. The undulating action of the thin “tail” is astounding. 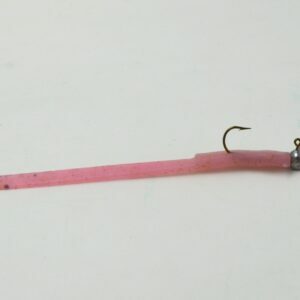 From a huge variety of salt water species to bass, crappie and sunfish, this bait does it all. 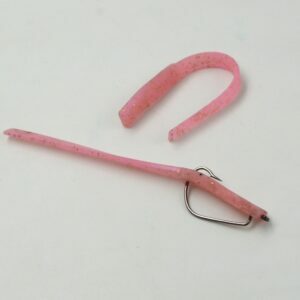 In the Pacific, these baits have proven so effective that they are now used by long line commercial fishermen in lieu of the real thing! 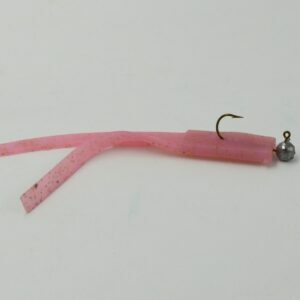 Common rigging methods for squid strips.